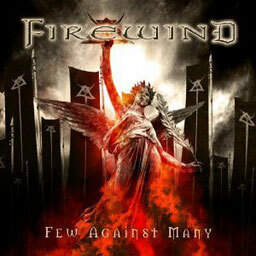 FIREWIND's reputation as one of Europe s premier Metal bands was further cemented after the release of 2010 s critically lauded Days Of Defiance, which saw the band tour the world with European support slots for both Judas Priest and Scorpions, along successful headline tours in Europe, Japan and North America. For their seventh studio album, the Greek Metal legends, who feature Grammy nominated Ozzy Osbourne guitarist Gus G. in their ranks, holed up in Valve Studios in Greece (with additional recording sessions in Sweetspot Studios in Sweden) late 2011 to begin work on their masterpiece "Few Against Many". Produced by Gus G., "Few Against Many" sees the band taking a more aggressive stance musically, whilst still retaining their melodic edge that has made them famous throughout the world. Mixed at Audiohammer Studios by Jason Suecof and Eyal Levi (Trivium, Devildriver, All That Remains, August Burns Red, Death Angel etc.). This album is packaged as a Special Edition digi-pak with two bonus tracks, and released on May 21 in Europe, May 22 in North America and May 23 in Japan.